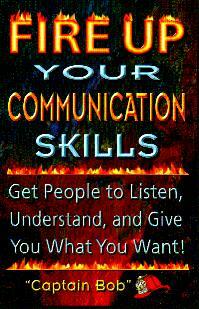 The following is from the book “Fire Up Your Communication Skills” (ISBN 09657620-6- 8) by Fire “Captain Bob” Smith. He is a recognized expert and speaker/author on stress, communication and relationship skills. He is a humorist, coach, entrepreneur and frequent talk show guest. He also produces customized presentations for career and personal growth. To book him as a speaker, ask him any questions, or get a copy of his book and tapes call (888) 238-3959. e-mail: captbob@verio.com. WebPage: http://www.eatstress.com. There is exciting relationship research coming from the Family Formation Project at the University of Washington in Seattle. John Gottman, Ph.D., an award winning psychologist and author of The Seven Principles for Making Marriage Work, has conducted a twenty-six-year study on what makes love last. Dr. Gottman claims that there is no evidence that the theory of conventional counseling works. With up to 67% of marriages failing, and 50% of those couples who enter counseling still ending in divorce, one would expect the odds to be better if today’s conventional counseling really was effective. Dr. Gottman says, “Those who come to a therapist with an ailing marriage today can be like people going to a class to learn how to swim so they won’t drown. But the instructors are armed only with a training program that teaches people how to do a triple flip off the high diving board or how to swim the English Channel.” Not only doesn’t today’s therapy work, it’s like going to a doctor for an illness and having him give you a treatment that makes your illness fatal. What Dr. Gottman and his colleagues found is that couples who maintain a ratio of five positive moments (interactions) to each negative moment have relationships that last. Marriages that fall below a one to one ratio (.8) usually fail. If your relationship experiences one of the following, is it doomed to fail? Wildly explosive episodes, ranging from fierce arguments to intensive making up. A routine that is emotionally inexpressive. A marriage in which the partners fight seldom or frequently. Dr. Gottman believes that as long as the five to one ratio is in place, any marriage will work. What is causing ripples in the counseling community is the fact that Dr. Gottman has discovered that volatile and conflict-avoiding marriages can be as stable as the marriages of traditional validating couples. The stability of these styles is determined by how each couple handles conflict. Validating couples “compromise often, and calmly work out their problems to mutual satisfaction as they arise.” They are viewed by counselors and friends as having the ideal marriage. Most counseling is directed toward getting couples to validate each other. The validating couple is like two therapists talking shop. Volatile couples argue at the drop of the hat. They have emotional explosions and passionately romantic make-ups. Conflict-avoiding couples will go to great lengths to keep the peace. They will minimize conflict by letting many problems go unresolved. According to Dr. Gottman, the volatile and conflict-avoiding couples have just as much of a chance of making a go of their marriage as do the validating couples, as long as they maintain the five-to-one ratio. Often couples who begin their marriages by complaining will end up having the most stable relationships. “In fact, trying to change the volatile and conflict-avoiding couples to become validating couples probably won’t work,” says Dr. Gottman. A marriage can be more complicated where there are mixed styles, such as a volatile person who marries a conflict-avoiding person. Unless these different styled people can settle on how they are going to resolve conflict, they will have difficulty in obtaining the vital five-to-one ratio. It is important to have the “ONE” in the five to one ratio (to produce conflict and negativity). Dr. Gottman is convinced that the one negative experience is just as important as the five positive ones. “What may lead to temporary misery in a marriage, some disagreement and anger, may be healthier in the long run.” Conflict can do good things. It can clear the air when pressures in the relationship get pent up. It has functions of renewal and it also balances the relationship. There are four negative acts that are more corrosive than others. They can predict failure. Dr. Gottman calls these “equestrians” the four horsemen of the apocalypse. They can take a marriage to hopelessness, despair and divorce. The four horsemen are criticism, defensiveness, contempt and stonewalling. Fire “Captain Bob” Smith has coached countless entry level and promotional candidates to get their badges. 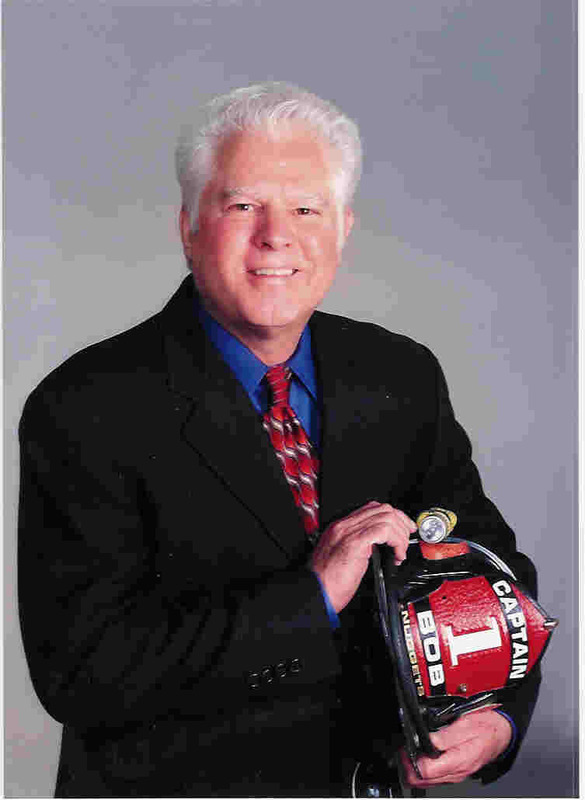 He is a retired 28-year Fire Captain, speaker/author of the CD/DVD program “Conquer the Job Interview,” the books “Becoming A Firefighter”, “Fire Up Your Communication Skills” and “Eat Stress For Breakfast”. He is a coach, publisher, author, frequent talk show guest, and a rater on job interviews. In fact, too often, a relationship becomes entirely about avoiding or discussing what’s wrong. But simply carving out time to walk together, watch a movie, or sit and relax without discussing problems often makes it easier to return to them later. For all these reasons, I actively coach couples to protect time where they’re simply together and taking a break from trying to fix things. Adding time to enjoy each other *is* working on the relationship.